Is there a better alternative to ArithMeTick? Is ArithMeTick really the best app in Mathematics category? Will ArithMeTick work good on macOS 10.13.4? ArithMeTick..How fast can you add and multiply? Solve math problems against the clock! 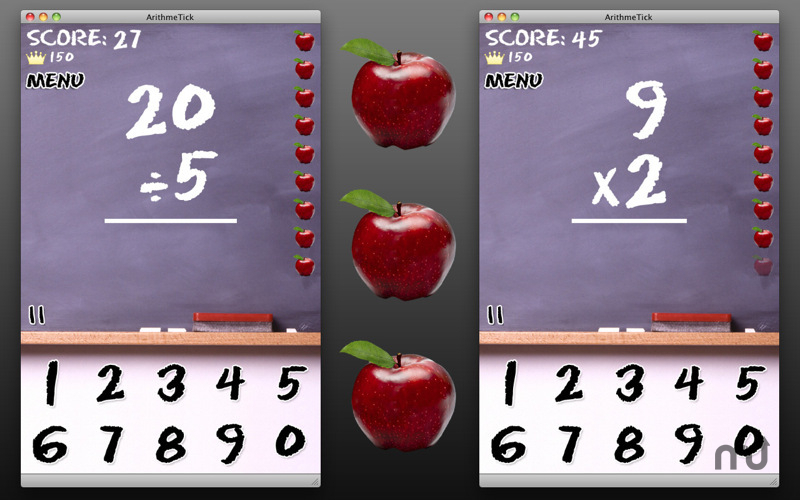 ArithmeTick is a challenging math game where you solve addition, subtraction, multiplication and division problems! The objective in ArithmeTick is to solve as many problems as possible before time runs out. You are awarded up to 10 points and additional time for each correct answer. A practice mode is also included to help sharpen your math skills! With five difficulty levels, ArithmeTick is perfect for kids and adults! Interface improvements and Lion support. ArithMeTick needs a review. Be the first to review this app and get the discussion started! ArithMeTick needs a rating. Be the first to rate this app and get the discussion started!